I started investing in gold when I had to sell my gold for cash one day in my early days in college so I could make up my overdue rent. 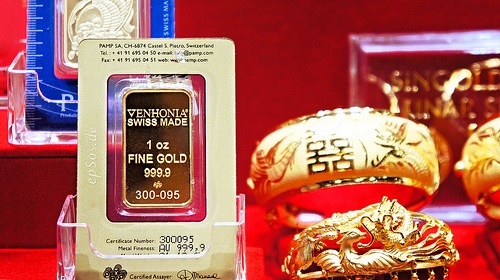 However, I was new to the world of selling gold and didn’t know about the loan or appraisal rates. I went to a Sydney pawn shop, and sold a gold necklace I received from my father when I turned twenty. I got ten pounds for it. I was hurt badly. Not only was that necklace worth more (especially with the gold cross pendant) but it had huge emotional significance to my life. However, despite the pain, I made up the remaining amount of rent, and life went on. A question was put in my head though, who was making the most money from selling gold for cash? Pawn shops are not the way to go, because even if they aren’t sneaky, they still have to make a profit on what they buy from you. From there I learned that with a cool, calm disposition, I can get the most money by selling gold. The first thing I learned was that the money you make from gold is only as much as the company buying willing to pay. I gathered all the gold jewelry that I no longer wanted (maybe one or two items bought for ex-girlfriends) and set out on an adventure to make as much money with those items as I possibly could. I didn’t want to go to the pawn shop again because not only did they not give me the best deal, but they also made me feel stupid. A friend of mine was a jeweler for a while, and he had some excellent advice for me. He said that any good company will give me a rate for my gold depending either on the karat of the gold and the weight. So I got purchased a gram scale and measured it all out. While some of the jewelry had a visible karat number that I could inspect and write down, I had three handmade items that didn’t have a karat number. I looked online and found out that there are acid karat tests that I can administer to my jewelry at home. This ended up saving me so much money when I tried to sell a gold chain I bought at a yard sale. The brokerage house offered me the price for a twelve karat gold. It didn’t seem right, especially with the price I paid. After performing my own test, it proved to be about eighteen karat. I never went back to that brokerage house every again. When we have the weight of the gold and the karat, we can calculate exactly how much gold we have, and can then devise a fair price based on that days gold price. Divide the karat by 24 to find its actual gold weight. Let’s say that 18 karat chain. Divided by 24, we get 75%. It weighed a total of five grams. Its actual weight in gold is 3.75 grams of pure gold. From that, I can sell my gold for cash based on that day’s rate. Sometimes though, I try to apply my experience analyzing stocks to wait for a better time to sell, especially when I am holding onto a lot of gold weight. While some people will take advantage of that day’s rate and sell their gold in a currency other than that of their home. This is risky because you can lose a lot of money in exchange rates and fees. It is best to wait till the price is acceptable for Australian dollars or Pounds, then sell. My jeweler friend had another tip for me about investing in gold. Gold coins (or any coin of value) shouldn’t be calculated by its gold weight or karats as these coins can sometimes be valued at much greater than their gold weight. When selling this item, it is better to find a broker who specializes in these things. They can also help you find the most money for your coin based on its mint year as well and distinguish it from counterfeits if you are buying gold coins from someone else. Armed with all these information, you can now be a bit of an experienced rookie in dealing with selling and buying gold. Just be careful with what you part with. You might regret giving up something you wish you still had.